It’s finally October, and our favorite time of year. This year should prove to be especially interesting, as our Exec. 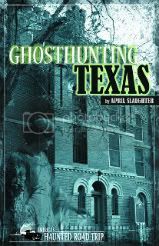 Director April Slaughter heads out on the road for her official book tour promoting her new book Ghosthunting Texas! Come out and grab a book, say hello, and enjoy this leg of the America’s Haunted Road Trip adventure! *This event will also include a short presentation on Ghosthunting Texas, The Driskill Hotel, and The Paranormal Source, Inc.
You are currently browsing the Paranormal Source - Paranormal Research & Development Team blog archives for October, 2009.